With rope velocity of 2. 5 or 4 metres per minute. This is a lightweight and robust unit, with an all round tubular frame to provide extra protection. It also features reverse rotation to allow controlled release at high loads. 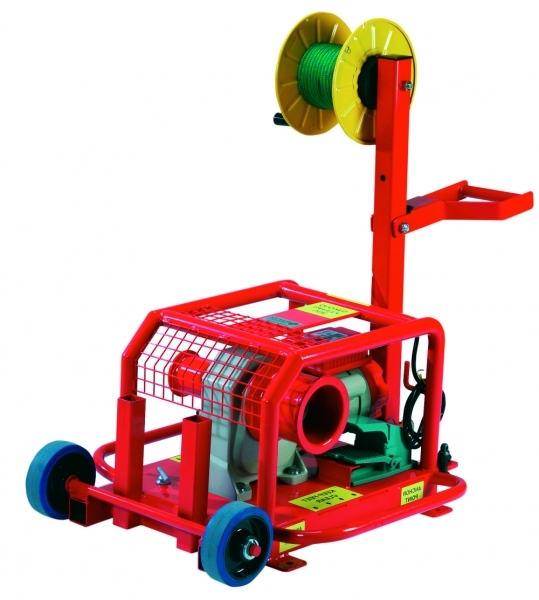 Because of the design of the winch it is capable of pulling limitless lengths of wire. It has a selection of pulling capacities. This winch is an exceedingly versatile instrument in the workplace, both powerful and lightweight. Utilising wheels for simple transport. With anchor Points fitted, or flanges to bolt to the floors.